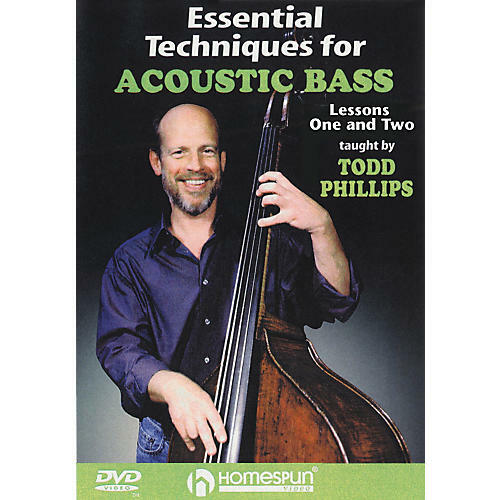 Veteran bassist Todd Phillips breaks down technique and musicianship for the acoustic bass from the ground up. He gives detailed instruction in the mechanics of playing, bass setup, how to develop strength and stamina, and how to become fully familiar with the fingerboard. Unique on-screen diagrams and closeup camera work make scales, chords and bass lines easily apparent. Excellent for total beginners, and for more experienced players who want to build their existing skills.